In 1689, Parliament passed The Declaration of Right, which decreed that since James II "abandoned" his throne, clearly his daughter and her husband were best for the job. 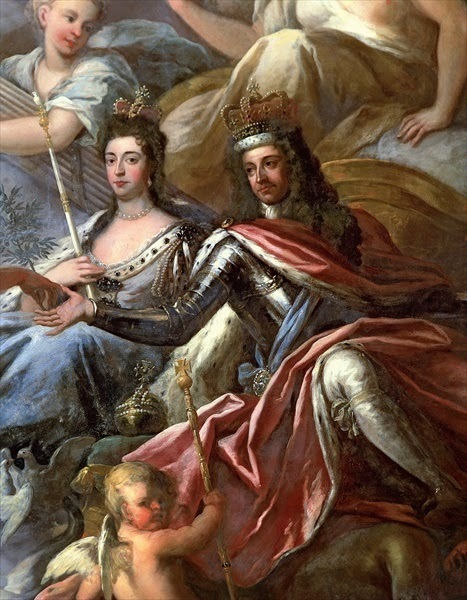 William would get to be King even after Mary's death and later, this declaration was extended to exclude James II, his Catholic heirs, then all Catholics from the British throne. 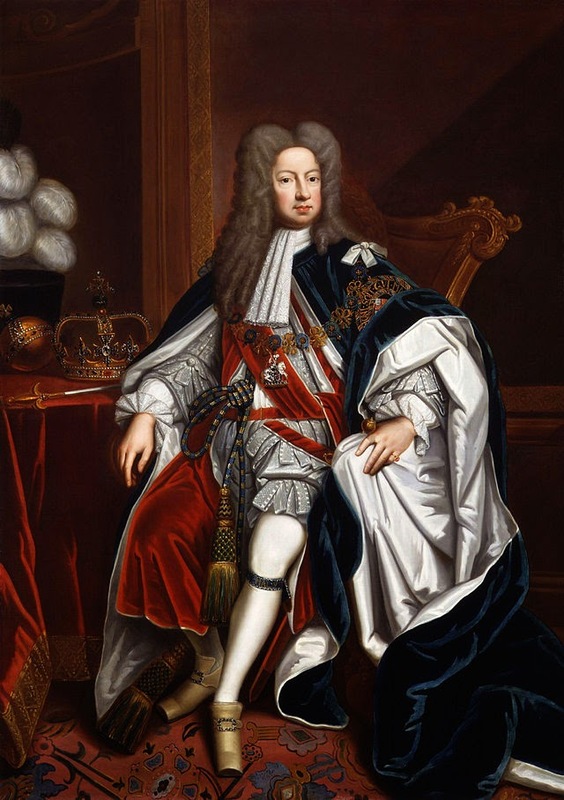 James II spent some time fighting back, actually, mostly in Ireland, whose Parliament, separate from England's and Scotland's, still considered James the rightful king. Catholics flocked to James' army and William, naturally, didn't want his pesky father-in-law causing trouble. They fought a number of battles in Ireland, which resulted in James losing and William not only defending his new crown, but oppressing the Irish under Protestant rule for the next several centuries. James loses, lives out his life in France, presumably drinking a lot. I mean, wouldn't you, if you'd been kicked off a throne? James' Catholic son James Francis Edward Stuart, grows up in France. James Francis Edward, to some, is the legitimate heir to the British throne. I mean, if his father hadn't been dethroned, JFE would've totally become king, no? He absolutely has the wig for it, don't you think? JFE declares himself King of England and Scotland. The Catholic countries recognize him as king. So now he needs to take over the throne by force, yeah? Nope. We go all the way back to James I of England (father of the king that was beheaded) and down another of his children's lines to George, the Elector of Hanover, who doesn't speak English, but at least he's Protestant! In 1715, some Scottish nobles, who didn't like George, raised an army in Scotland for JFE. Because people actually learned Latin back then, they called themselves Jacobites, after Jacobus, Latin for "James." But this army is defeated and nobody's really excited about JFE, so nothing really happens after the Jacobite Rising of 1715. JFE returns to France, then spends the rest of his life in Rome, calling himself the Old Pretender. 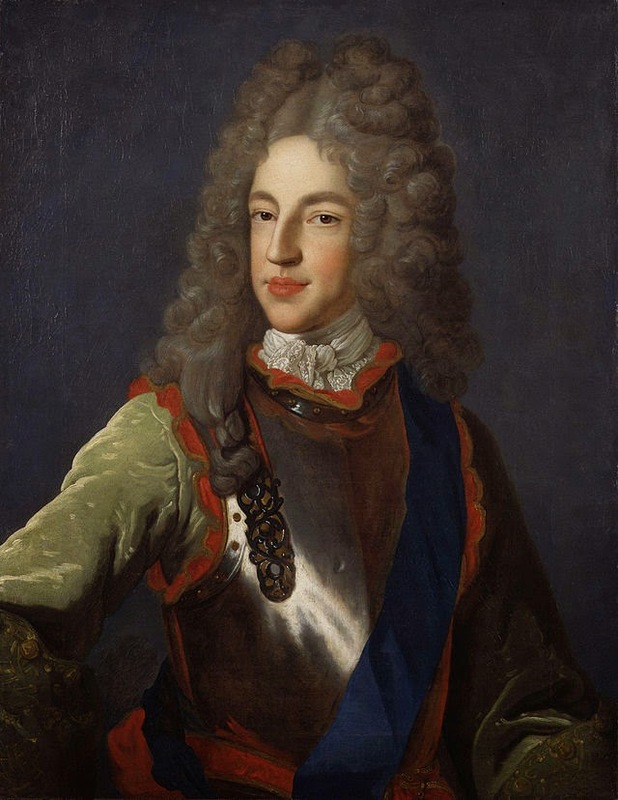 Prince Charles Stuart "Bonnie Prince Charlie"
His son Charles Edward Louis John Casimir Sylvester Severino Maria Stuart is born and raised in Rome, but we know him as Bonnie Prince Charlie. 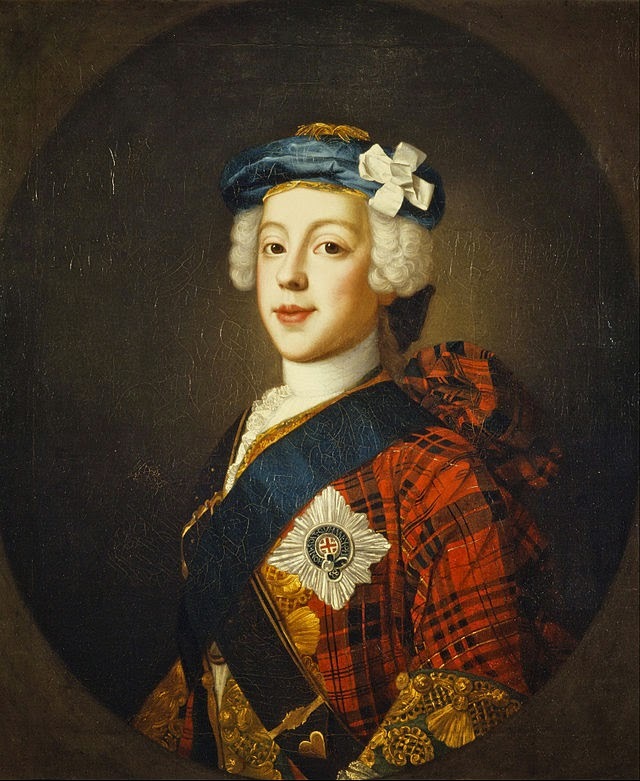 Bonnie Prince Charlie, the Young Pretender, wanted to get that throne back to his family--there were still plenty of Jacobite supporters who preferred the Catholic Stuarts to the Protestant Hanoverians and still believed that the Hanoverians shouldn't be the rulers because of the divine right of kings. Bonnie Prince Charlie goes to Paris, trying to woo his French king cousin to give him a decent position in the army or something--plus money and an army to invade Britain. But while he's in Paris, Prince Charlie spends a lot of time drinking and having affairs. And that is where I'll end this random history lesson, because the rest of it is covered in Dragonfly in Amber and I promised not to spoil anything for my friend. Random tidbit: The Outlander theme song is a variation on "The Skye Boat Song," a poem about Bonnie Prince Charlie escaping mainland Scotland to get to the Isle of Skye after Culloden. Those wigs are really ridiculous. But if I've ever heard of the Orangemen I clearly didn't know what it was. That's kind of funny. Old Pretender... LOL! And Young Pretender! What kind of crazy long name is that?! Who can remember that?! The wigs are really, really funny in this time period. Good God! It's because of the long name that they called him Bonnie Prince Charlie, methinks. Might as well as make it shorter! I kind of knew sort of vague things about the Jacobites just through some reading (romance novels set in Scotland lol) and then a lot of Outlander focuses on the Jacobites, so I read some blogs and essays and Wikipedia...and then figured, why not put together a very broad overview of what caused this whole thing? Thanks for this lovely post. I *love* history! Those are really cool. Tbh, I don't know much about European royalty--most of my reading has been around the British royals. Apparently, William III died at age 51--which isn't bad for that time period. I had a hard time with this one, too. I had a hard time with imagining Jamie, this Highlander warrior, being this businessman/confidante of Bonnie Prince Charlie. It didn't fit for me at first. 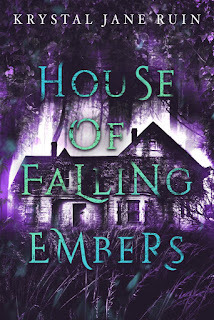 Book 2 picks up, though, and the ending was a whopper.